The Spring/Summer 2019 jewellery collection is inspired by charms and talismans, imbued with meaning. 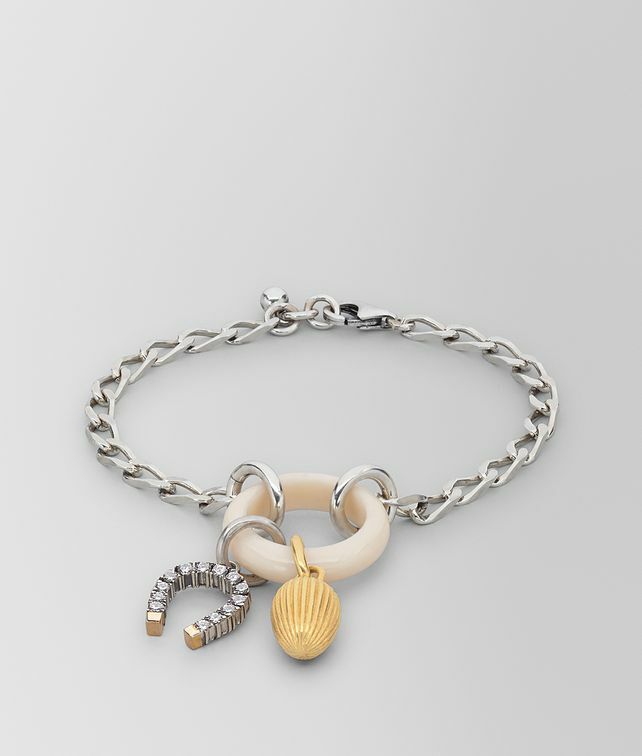 This silver groumette chain features a smooth ox bone ring, a knurled egg which symbolises fertility and a horseshoe that’s meant to bring luck. Small: 18.5 cm | 7.2"
Medium: 20 cm | 7.8"